Have you lost weight with the help of WeightLossTopSecret? We want to share your story and celebrate your achievement with you! To submit your success story to our testimonials page, simply fill out the short form below, be sure to add a photo. Your success story may change a life, encourage others to change their bodies and encourage the community to cheer you on so you stick to it. Your success story might be featured in a future WeightLossTopSecret book or cookbook, shared in magazines or even on TV. So be sure to give us your email address so we can keep you updated on all the ways we want to celebrate your success! By submitting material for publication, you grant Tone Tiki Productions (d.b.a.-LoseWeightbyEating.com) unrestricted use of the material, including your first name, hometown and state. We reserve the right to modify, reproduce and distribute the material in any medium and in any manner. We may contact you via email regarding your submission. I’ve lost 47 lbs since Jan 1st and 8 dress sizes. I have lost 33 lbs in 3 months. I no longer have to shop in the Plus section! I have about another 42 to go! Just 1 at a time…..
I’ve lost 120 lbs in 13 months!! I have lost about 50 lbs in 4 months, just by changing my diet thank you for your wonderful recipes and inspiration! In just 3 months I’ve lost 35 lbs. My total weight lost since april 2013 is 45.3lbs.. still got alot more to go but I will get there one step at a time! Hey Audrey..Just wanted to tell you thank you so much for sharing your experience. I drink my cinnamon apple water every day and get 14-16 cups in daily. So far I am down 22 pounds and feel better than I have in a long time. I hurt myself very early in my weight loss journey (started Jan 17th and sprained my ankle Feb 4th and found out I have arthritis in my knee soon after) so I am only allowed to really walk to ride my bike. I am thankful for your site b/c it helped me stay on track and keep focused. Just b/c I can’t do a lunge or hard work doesn’t mean I can’t lose weight! ♥ So I stay focused and kept on going! Here is the list of Weight Loss Superstars from 2012, I am SO PROUD OF ALL OF OUR WINNERS!!! Check out the weight loss competition on my Lose Weight By Eating FACEBOOK PAGE. Nicole lost 9.3 LBS in one week… even though she enjoyed pizza TWICE! Jenna told me that she decided to start her New Year’s Resolution early and in just 6 days she was already down 11 lbs!! Courtney lost 5 lbs in one week!! Howie lost 6 lbs in one week!! Renee lost 12.6 lbs in one week!! 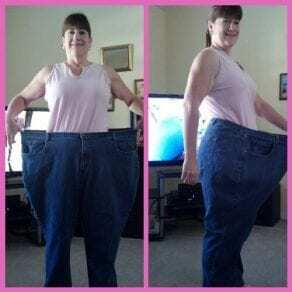 Suheila lost 7 lbs in one week!! Karen lost 7.3 LBS in one week!! Debbie lost 5.2 lbs in one week!!! Krista lost 6 lbs in one week! Krista is one of our most accomplished Weight Loss Superstar losing almost 40 lbs in 3 months! Sarah lost 8.5 lbs in one week!! Beth lost 9 lbs in just one week!!! Brandy lost 7.2 lbs in one week!!! Krista lost 6.2 lbs in one week!! Jamie lost 7 LBS in one week!!! Jamie said that she started drinking a gallon of water a day and besides the benefits of the weight loss she also found herself with TONS of energy! Krista lost 7 lbs in one week! Erin lost 2.5 lbs in one week!! Charlene lost 10.5 lbs in one week!! Brandy lost 8.2 lbs in one week!!! Katie lost 4.5 lbs in one week! Regina lost 4.4 LBS in one week!! Kathy dropped 7 LBS in less than a week following my recipes, she was out FIRST EVER Weight Loss Superstar!! You will be happy to know I have been cooking from home three meals a day ever since we did the interview and I have saved a ton of money in the process. I also feel more fit. Last night, my boyfriend and I went out on a double date for the first time in a while. Our counterparts ate two HUGE cheeseburgers and downed several beers each. My boyfriend and I had just eaten a healthy, wholesome meal at home and I had absolutely no food envy. I felt content, healthy and maybe even a bit snobbish. I knew that they would not be feeling good the next morning, but I would feel energized and healthy. I’ve tried this (Apple Cinnamon Water) for over a month and its soooo good. I get compliments that I’m looking great, I feel great too, and I have the energy as well to juggle both my sons who are 2 and a half years old and 2 and a half months old.. I love it that its my new drink… a lot better on the following morning! I’m down 4 LBS! Yippee feel great ! 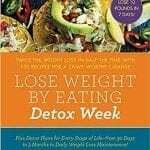 I Lost Seven pounds in the past three weeks! I just found your blog this weekend, I started to change my eating habits on Monday, Failed Tuesday, then started a 1200 cal. diet on Wednesday for real and Ive lost 6.8 lbs as of this morning. I have gone from drinking 1 glass of water a day to drinking a gallon a day and I haven’t peed myself yet! (small victories, lol.) I threw away all the junk and processed food in my house. I am having no problem staying at or just under my cal. limit with your recipes and I don’t feel deprived of anything! Finding your website was the best thing that could have happened for my weight loss. I lost 6 lbs this past week (first week)!! Woot woot! I just made this and it took 5 minutes!! Been following your guidelines for just under a week and i’m already down 7 pounds!!!! You are a genius! This approach to nutrition is so rational and seems very do-able, I love it! I started with the chocolate syrup last night and it is perfect in my coffee this morning. I’m thinking your pizza crust is next and I can’t wait. You have given me just the inspiration I needed to make some common sense, healthy changes for myself and my family~~Thank you!! I just started following your blog, congratulations on the weight loss! I look forward to looking up some recipes, and I love the tip about shopping the perimeter, I’ve never thought about it like that before. Thanks! I tried this on Monday. I loved it! When I weighed in at WW I had lost weight. It is yummy too! I lost 150 lbs in 12 months by eating all natural food. I abandoned all fake sugars and all processed, chemical and preservative filled food. Here is more about my story.